Many of us live with a form of spiritual schizophrenia. We live our “Christian life” primarily on Sunday, and then there’s our “regular life” lived the rest of the time. 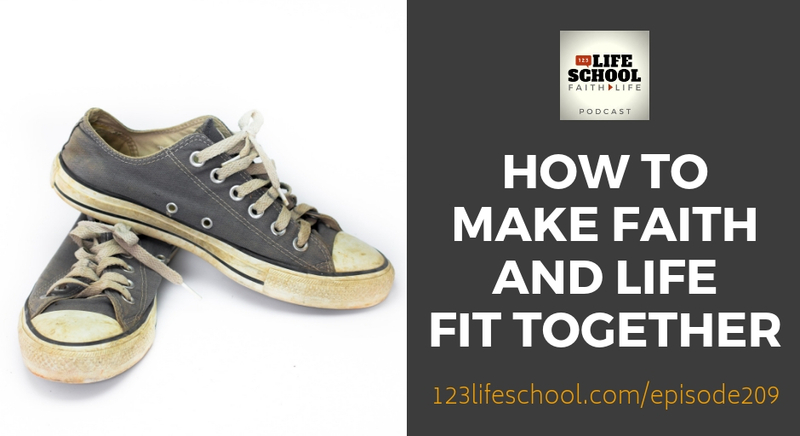 This week on the Lifeschool Podcast, we’ll help you learn how to incorporate your faith into every area of life. To see that the Gospel really is good news for today, and help you experience a fuller, Kingdom life now. If you have a desire to live with greater intentionality in your life when it comes to your faith, work, ministry, parenting, being a good spouse… now is your time. One small step starts the journey. If your family or church is really living on mission with God (or something else). How the gospel really does speak into ALL of life, not just your afterlife. Caesar’s personal journey from “attending church” to BEing the church. What it would look like to live as a full-time missionary in your neighborhood. Want to know what it could look like for you, your spouse, or your team to start being coached and mentored by Caesar personally? Go here for more info and to see if this coaching is a good fit for you.